Author Shannon Basinger-Kotz and her eleven-year-old son and illustrator Vinny M.R. Kotz have a gift for weaving holiday magic. Last Christmas, they published their first book, The Little Lost Nutcracker. This year, they are celebrating the release of their second book with the Write Place, Marlene’s Christmas Wish—a new holiday tale. In the story, young Marlene has only one Christmas wish: to be healed of cancer. After she writes a letter to Santa, the jolly saint makes a Christmas Eve hospital visit to share with Marlene the power of prayer—and reassure her that, even in the darkest times, she is never alone. Marlene’s story holds special significance for the mother/son team. Each month, they pick a charity and make a donation together. Though they’ve given to a wide range of organizations, they often find themselves donating to St. Jude’s Children’s Research Hospital. 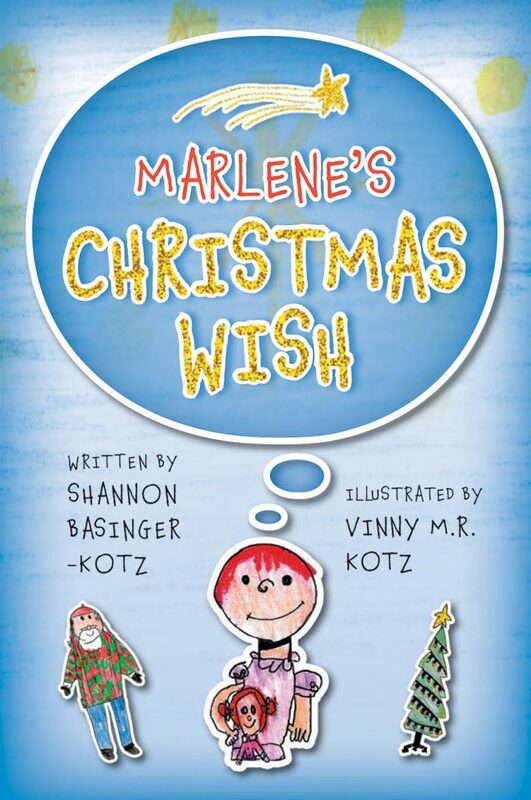 Marlene’s Christmas Wish, which was a finalist in the 2018 Write Place Book Contest, is now available for purchase on Amazon and BarnesandNoble.com. Basinger-Kotz plans to donate a dollar to St. Jude’s for every copy of Marlene’s Christmas Wish sold. She also plans to donate a copy of the book to the hospital. Shannon Basinger-Kotz is a published poet and songwriter from Colfax, Iowa. She and Vinny are currently working on writing and illustrating several more stories.